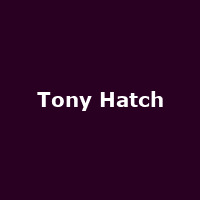 "From pop music to the stage and TV to film, Tony Hatch is a true songwriting legend. Not only has he helped to define popular culture throughout the 60s, penning some of the world's most loved songs, but he's also written the music to songs that have become timeless. His tunes for television, stage and the charts include Crossroads, Emmerdale, 'The Card', 'Rock Nativity', 'Downtown', 'Call Me', 'Colour My World' and many, many more."